Very good mowing and a cleaner cut than other zero-turns in short grass. All controls are easy to use (apart from levers). When the levers are brought together to disengage the parking brake after starting the mower, it can be difficult to work out whether they are forward or aft of neutral. 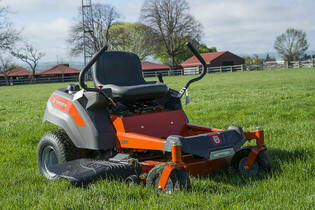 As a result, the mower can move forward or back unexpectedly, especially if you’re inexperienced. Lever controls are quite sensitive meaning twitchy handling. No way to check fuel level.